The stock market has been touching new all-time highs every other day. In these situations, unless you are an experienced stock investor, most advisors will tell you to adopt the mutual fund route since the risks of losing money are high. Abhinav Angirish, founder, Abchlor Investment Advisors Pvt. Ltd. said that the person who invested during the phase when the market had corrected could be getting good returns but one has to understand that it is unreal to try and catch the market’s lows and highs. “When the market is more volatile it is advised to invest through mutual funds as they are less risky and gives better return when invested for a longer term,” he said. These mutual funds are also called growth funds. Money invested in these mutual funds are invested in common stocks of companies. The decision to invest in equity-oriented mutual funds needs to be guided with risk appetite and time horizon. One would get the best return as long as he invested in the scheme. They are diversified further in sectors, market cap, investment style etc. “Equity oriented mutual funds give good returns but come with a certain amount of risk also. As they give the higher return, managed by highly experienced money managers, and are easily available with various categories to fit in, they are recommended for persons who want higher return with taking some amount of risk and can stay invested for a longer term,” said Angrish. Equity-oriented funds generally hold a minimum of 65% of equity stocks which can go up to 100% of equity stocks. These mutual funds are best suited for the risk-averse investors who are not willing to invest in a highly volatile equity market as the investment made in these mutual funds are further invested in Government Securities/bonds, Debentures and treasury bills etc. A debt oriented fund provide a steady but low return on investment in comparison to Equity Funds. These funds are mostly recommended for hedging excessive risk or to a person passes a certain years of age. These funds provide security to the principal amount to the certain level as most of the investments are done in Government Bonds. This is also named as ELSS, are mutual funds for the one who wants to cut down his tax liability. 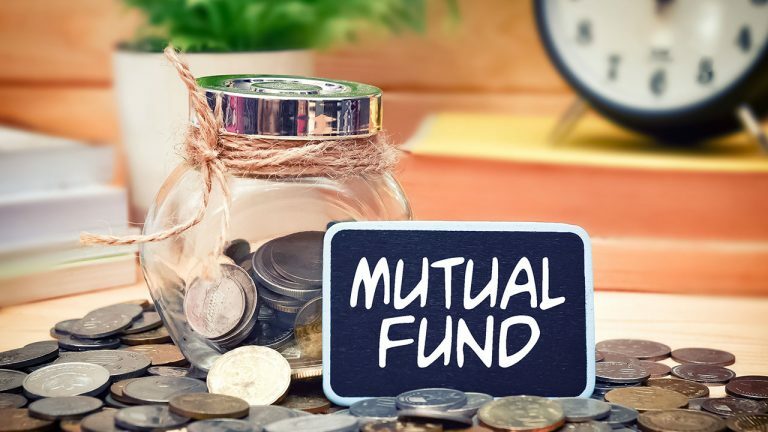 An investor who is in the top bracket of income tax and where his deduction amount is Rs 1.5 lakh under section 80C will be the most benefited by this mutual fund. ELSS comes with certain lock-in period which helps investor to stay invested for a longer term. These funds save investors from last minute rush to opt tax saving scheme by providing them with the cushion to equally divide their investment amount. As the lock-in period is 3 years, all gains would be long term which will be taxed 10% only if the gains exceeds Rs 1 Lakh. Considering the tax saving scheme and the benefit of lock-in period ELSS are the highly recommended mutual funds. These funds are the combination of both Equity and Debt funds. Money invested in these funds are invested in common stocks and bonds. Stocks helps to give higher return and debt helps to manage excessive risk. It would be unwise to assume that they are risk-free, as all the investment made in equity markets bring a certain amount of risk. But the investment made in the Hybrid funds gives better returns than Debt funds with they are less risky than Equity-Oriented funds. The allocation of the debt and the equity totally depends on the money managers. They invest as per the market conditions prevailing at that time and switch from one to another whenever it is needed. In hybrid funds, generally, the ratio of holding between equity and debt varies as per the fund category. It can be 20:80 ratio for a conservative hybrid fund, 60:40 ratio for a moderate hybrid fund, 50:50 ratio for a balanced hybrid fund and 80:20 for an aggressive hybrid fund, respectively. These are the funds where money invested regardless of its market cap and sector. These are the funds where money manager tries to maximize their investor’s wealth by investing in the best growth stocks taking no account of the constraint of the Large, Mid or Small cap. “These funds are not bound with the restriction of any sectors too, which is why they are advised to the investors for their retirement plans, child’s education plan etc. where one has a very long time horizon in sight for its investment compare to any other fund,” he said.